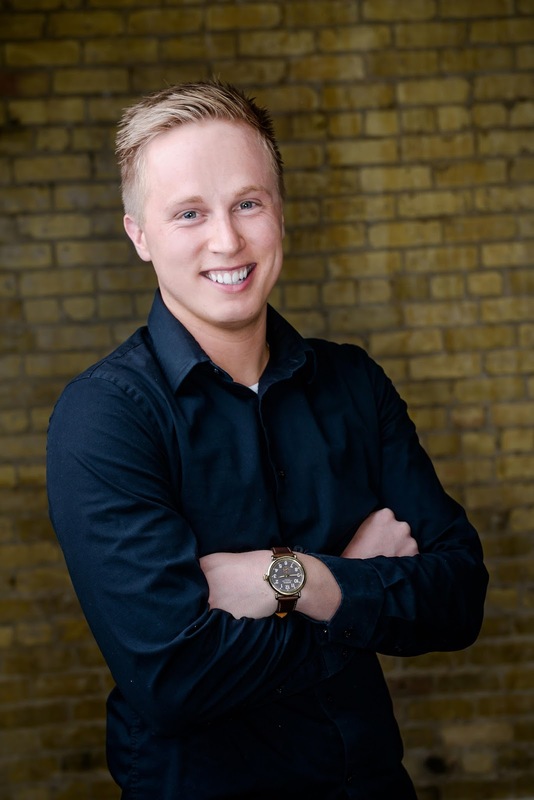 At this year's Minnesota PRSA Classics Awards banquet on April 20, Keegan Shoutz of Lola Red Public Relations was named Young Professional of the Year. I was the president of my PRSSA chapter at St. Cloud State University (SCSU) from 2009 to 2010. I graduated from SCSU with a degree in mass communications with an emphasis in public relations. In May of 2010, immediately following graduation, I started an unpaid internship at Lola Red. Since then, I’ve grown into my role at Lola Red and have worked my way from intern to my current role as vice president. Throughout the past seven years at Lola Red, I’ve had the opportunity to work with some amazing brands both big and small. Our main priority here at Lola Red is to achieve results for our clients and to always treat clients, and the media, with the best possible service. It’s been an incredible experience working with brands like Love Your Melon, Sphero, and JR Watkins as I’ve watched them grow and I too have grown over the years. Coming directly from my role in PRSSA as president of my chapter, PRSA has had a huge impact in my career within the PR industry. I attended numerous PSRA-led events while a student and have had the opportunity to serve on the student relations committee of PRSA as a professional. It’s been humbling to have the opportunity to plan and mentor students, just as I was mentored when starting my career. 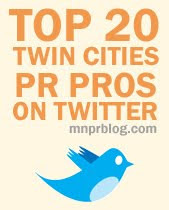 The PR community in Minneapolis is incredible and there are so many inspiring professionals that I have gotten to meet and become friends with through my time in PRSA. I feel fortunate to have learned early on that your experience with PRSA is what you make it. You have the opportunity to be as involved as you’d like but if you put in the effort, the return comes back to you tenfold. 3. What campaign have you worked on that you are most proud of and why? When I first met the founders of Love Your Melon, they were selling their hats as a part of a class project. After learning more about their story and their true vision for turning the project into a full-fledged business, I was able to see the potential they had to change lives and attract the interest of the media. I first got them on KARE 11 here in Minneapolis back in 2010 or 2011. After parting ways as they finished school, they would occasionally reach out for assistance with projects or events. In 2014, I got the call that they were heading on a cross-country road trip in a tour bus to visit campuses and hospitals. I KNEW that story needed to be told and that so many lives would be positively impacted by Love Your Melon if I could help them reach beyond Minnesota. As part of my outreach to national media about this tour, I was able to grab the attention of a producer for the TODAY Show, who ended up filming and airing a four-minute segment during the Winter Olympics in 2014. Needless to say, it was incredible to watch the impact it had on their business. Today, Love Your Melon is one of our biggest clients here at Lola Red and I’m incredibly honored that they continue to put faith in me to help them spread their message. My desired career path is truly centered around being happy. I’ve managed to remain extremely fulfilled throughout my seven years at Lola Red and I suppose if and when that ever changes, that is when I would begin to look for other paths to venture down. Working not only with a team that is extremely dedicated and hardworking but with clients that equally treat me as partners in their business — strengthens my drive to succeed. I look forward to continuing to grow and learn, while teaching others what I’ve managed to learn along the way. I try not to worry about what I’m going to do five years down the road and instead focus on the immediate days ahead of me and how I can make the most of them. I feel incredibly fortunate to have the support of my team at Lola Red and I think in today’s professional landscape, remaining in one place for seven years is a testament of that. A few things I look forward to refining throughout my career are finding mentors that can continue to teach and inspire me with their knowledge of life and the industry. As well as joining boards or organizations for which I feel a personal connection. I look forward to using my skills to make a positive impact on the issues that matter most to me as a person.